RICE LAKE, WI (June 11) – Shane Sabraski’s dominance of the second annual George Rhoe Classic for WISSOTA Super Stocks at Rice Lake Speedway was complete. Not only did he win the first heat race, he redrew the front row for the main event and then led all forty four laps of the main event to take home over $2,000 back to Rice Minnesota. But although he did lead all the way, his route to victory was not an easy one as he had Curt Myers stalking him for the entire distance of the main event while Sabraski fought some overheating issues of his own. The WISSOTA Street Stocks and Pure Stocks also participated in the race program with Sam Fankhauser and Jason Havel coming home the winners in those events. Twenty five Super Stocks took starter Troy Holder’s green flag for the forty four lap grind with Sabraski using the high side to take the initial lead from Myers. Dan Gullikson and Ben Hillman fought for the third spot, a race that would take a number of laps before Hillman would finally secure the spot. Scott Lawrence would slide into the fifth position but was challenged by Joe Oliver, Willie Johnsen and Eric Olson. Sabraski would continue to hold the lead with Myers riding very close behind and occasionally looking to the low side in an attempt to slide under the leader. Hillman and Gullikson continued to battle with Lawrence holding off a swarm of cars behind him. The first yellow flew for a spin with ten laps complete. Sabraski fought off Myers’ attempt to get past him on the green and the running order up front continued to be the same. Hillman was finally able to slip past Gullikson for third while the battle for fifth continued. Back in the pack, two drivers were making a concerted charge to the front after starting deep in the field. Shane Kisling from the tenth row and Jason Forehand from the eleventh row were both marching toward the front of the field, as they gained position after position while using the whole race track. Lap eighteen saw Seith Kramer roll to a halt, slowing the action once again. The double file restart saw Sabraski again get away into the lead while Myers fought off Hillman for third. Lawrence was briefly able to get past Gullikson for fourth but Dan eventually would retake the spot. Cory Tammen was on the move until it appeared he broke a suspension part and he started fighting to control the car in the corners. His problems resulted in a spin on lap twenty nine, which slowed the action and saw Tammen retire from the event. Once again, Sabraski fought off Myers’ challenges as Curt tried to drive deep into corner three on a couple of occasions but each time Sabraski held his line and fought off Myers. Gullikson was able to power past Hillman and take the second spot while Kisling continued his march as he took fifth from Lawrence. Debris stopped the action and set up an eight lap dash to the checkered flag. Myers continued his assault, driving deep into the corners and trying to sneak under Sabraski, but Shane was smooth and solid and he held his line and wasn’t spooked by Myers attempts. Curt gave it one last shot on the final corner but Sabraski had his line and drove home to the win by two car lengths as he earned one of the biggest paydays that the Super Stocks will have available all year. Myers finished a solid second with Gullikson edging out Hillman for third and Kisling finished fifth. The second five saw Forehand earn the Hard Charger award as he finished sixth ahead of Lawrence, Dexton Koch, Olson and Jesse Redetzke. In victory lane, Sabraski noted that the yellow flags played into his favor during the race. “Every time my engine temperature would get to 240 degrees, it seemed the yellow flag would come out. I’d idle around the track in first gear and cool the engine to 190, and then we’d go racing again,” Shane stated. The yellow flags, distributed as they were about every ten laps during the main also allowed Sabraski to avoid lapped traffic, one of the things that could have messed with his momentum. Fankhauser continued his strong runs of late as he won his third Street Stock feature in the last five days. Fankhauser started on the outside pole, powered past Eric Olson on the start and led all twenty laps of the main. Although Fankhauser wasn’t able to drive away from the strong field, he was able to maintain an almost constant and consistent three car length lead until the very end of the race. Cody Kummer moved into second and chased Fankhauser most of the race with Olson, Adams Soltis and Doug Wojcik chasing. Wojcik made the hardest charge of the event as he worked his way up from a seventh starting spot. He made a number of passes and eventually worked his way into third. The lone yellow of the event waved with eleven laps complete when Jimmy Randall rolled to a halt. Fankhauser again pulled away but the battle was for second with Wojcik trying to work under Kummer. Doug was eventually able to ease past Cody and take over the runner up slot. He then pushed hard trying to catch Fankhauser in the closing laps and on the last corner drew close to Sam’s rear bumper but Fankhauser was in control as he raced under the checkered flag for the win. Kummer settled for third ahead of Olson and Soltis. Havel won his first Pure Stock feature of the year at Rice Lake in a nonstop main event that saw only one car not make the distance. C.J. Wagner was the early leader of the race as he fought off Jimmy Holden to take the early lead. Holden stayed close behind until Havel picked up the pace and raced into second. Havel closed on the rear bumper of Wagner and with a strong outside move in turn two, drove past the former leader and powered to the front. Once in front, and with the yellow not being a factor, Havel opened up a slight lead over the field, one which he maintained the entire distance. Late in the race, Holden picked up the pace and on the final lap he was able to edge past Wagner to take the second spot, the best finish ever for Holden in his short one year plus racing career. Rookie Hunter VanGilder had another solid run with a fourth place finish ahead of John Erickson. 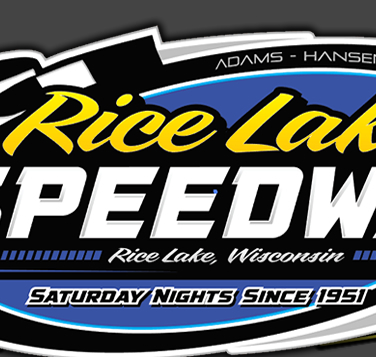 Rice Lake Speedway will take this coming Saturday, June 15 off in deference to the city wide Auqafest celebration going on this weekend. Racing will continue on Saturday June 22. 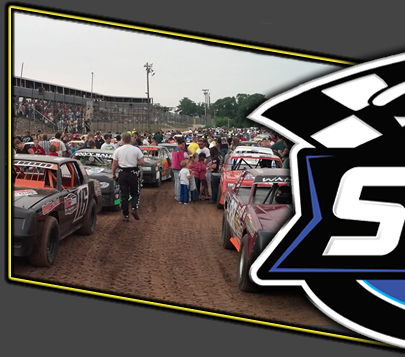 All five classes will be in racing action and the WISSOTA classes will be battling for the Race of Champions qualifier with the winners locked into the Race of Champions event during the WISSOTA 100 at the Dakota State Fair Speedway in Huron S.D. in September. All racing will be under the draw/redraw format on that night. 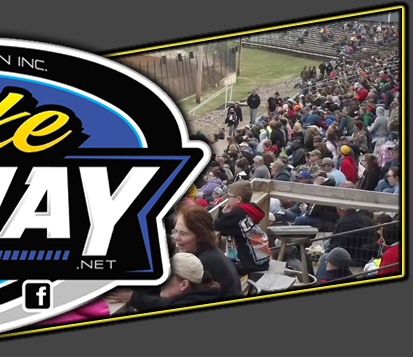 But before that event, on Thursday June 20 the Monster Truck Throwdown will be happening at the Rice Lake Speedway. A free pit party for all paid admissions will start at 5:30 p.m. and the Throwdown starts at 7 p.m. Come early and meet the drivers and see the trucks up close.